THE SKINNY: Clinique Redness Solutions Instant Relief Mineral Powder is incredibly light and almost too translucent to be effective as a real redness reducer. I was not convinced that it actually works unless you layer it. And, it might apply better with a brush if dipped into a jar rather than off a small paper sample. It’s not a cover up per say, it may work well under a cover up? I felt it might be good for those with sensitive skin due to its lightness and allergy testing. It is also fragrance free. 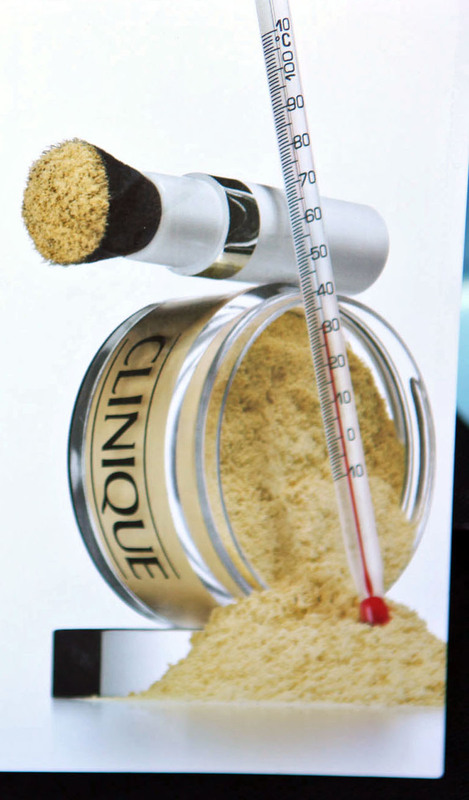 Clinique suggests several different ways to use this formula based on your skin type -- light coverage used on bare skin (the way it was tested), medium coverage used over a moisturizer or light foundation and full coverage used with a daily liquid foundation and then the mineral powder. KEEP OR TOSS: I might try it again, from a larger sample size, but prefer something a little thicker. CHECK IT OUT: Buy direct from Clinique (it even comes with a brush) and check out other reviews from testers, who all seemed much happier with this powder. And as a bonus, Clinique is offering three free mini products with any purchase!